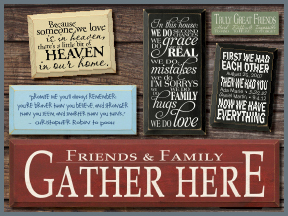 We have a huge selection of family signs and friend signs! They call me Mimi because I'm too cool to be Grandma! Mothers Of Little Boys Work From Son Up Til Son Down! Family ~ All because two people fell in love.